Veronica's San Juan del Sur Spanish School offers a homestay program allowing students to live with a local Nicaraguan family. 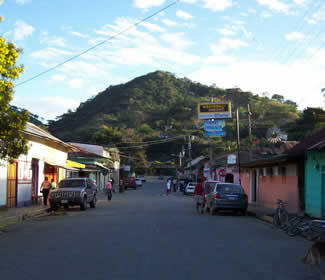 However, it is also possible to stay in one of the nearby San Jan del Sur hotels. Whatever you choose, you will be within walking distance from the school and the town's beautiful beach. Students choosing to stay at a local hotel should make reservations directly, by visiting the websites of local hotels such as: Casa de Olas or Hotel Gran Oceano. SSS students have found the homestay program to be a great part of their Spanish immersion experience. For a fee of $10, your homestay family can also arrange for laundry service.